The secure laytex wrist strap offers extreme support and comfort and minimises hand movement within the glove. 0.4mm woven polyamide fiber material with monodirectionally integrated elastan. Covered with multilayered TPU coating it provides an extremely thin but leatherlike upper resulting in the lowest weight Puma football boot. Embedded in injected TPU it ensures excellent pressure distribution, reduces weight and supports the natural forefoot flexibility. Puma v1.08 Firm Ground Navy White Silver Football Boots. Gets you to the ball even faster. The v1.08 upper uses a thin, lightweight and abrasion resistant textile material. This provides the industry speed benchmark with unique ball control and touch properties. This revolutionary and environmentally friendly construction provides a glove like fit by fully replicating the unique PUMA AptoLast. The off-centred lacing system increases the kicking area and improves pressure distribution as well as reducing forces from ball impact. The v1.08 uses a thin, lightweight and abrasion resistant textile material providing an industry speed benchmark with unique ball control and touch properties. The textile upper is reinforced with a thinlayer of microfibre specifically in areas where extra reinforcement is needed. This increases durablity without adding dispensable weight. The outsole is split into two seperate pieces keeping weight down whilst enhancing the fit in the medial foot arch area. The forefoot stud configuration ensures smooth ground penetration by providing optimal traction and manouverability. The near stud configuration features an integrated heel counter to provide stability whilst supporting the natural running movement. The minimized TPU external heel counter provides optimal stability whilst reducing weight through its unique construction. The internal chassis is the backbone of the v1.08. The TPU frame provides stability while the carbon fibre sole plate secures lightness and flexibility. With carbon fibre as the major component of the internal chassis PUMA are using a lightweight yet flexible advance material. Embedded in double density injected TPU, the carbon fibre composite of the internal chassis ensures excellent pressure distribution, reduces weight and supports the natural flexpoints of the forefoot. The PUMA AptoLast sets a revolutionary benchmark for football footwear. 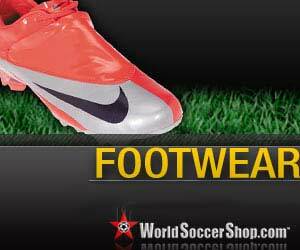 Ergonomically as well as optically it closely follows the foot's natural shape and provides a glove like fit that allows the upper to mold prefectly to the players foot.